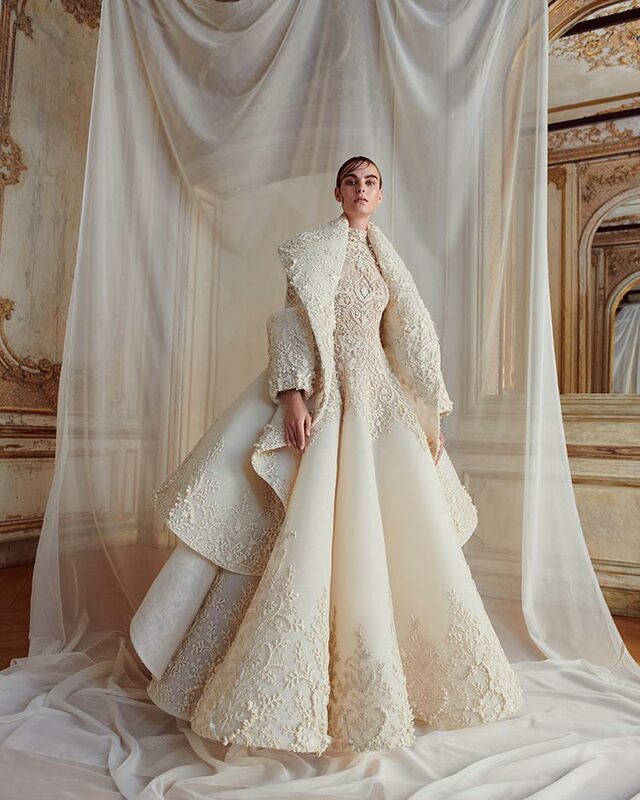 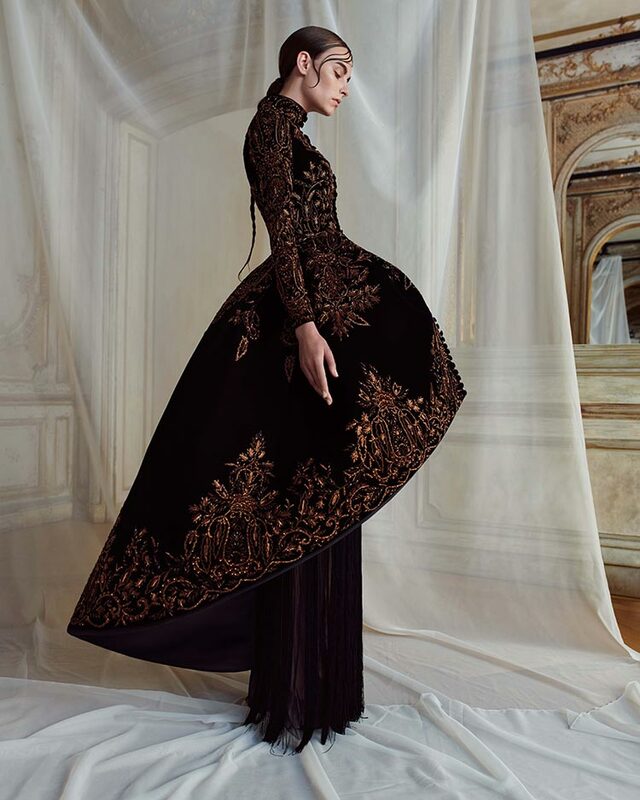 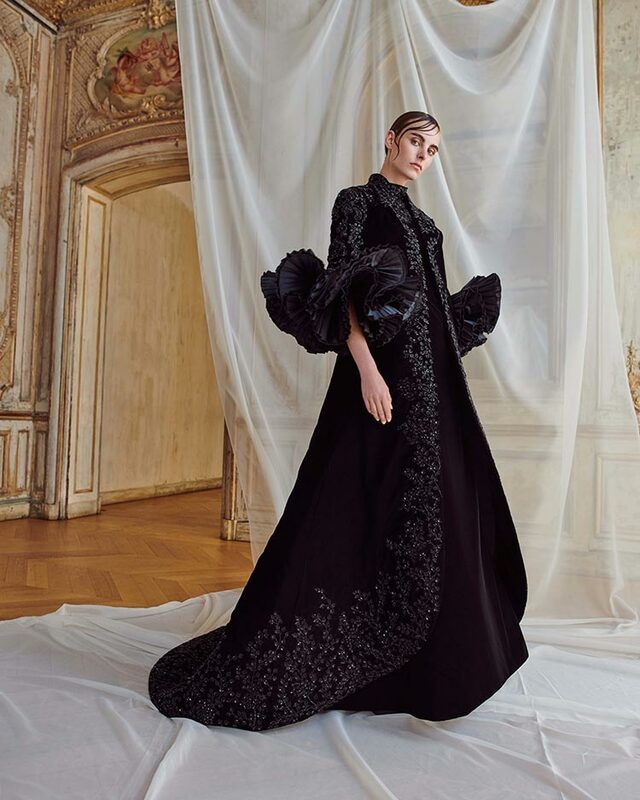 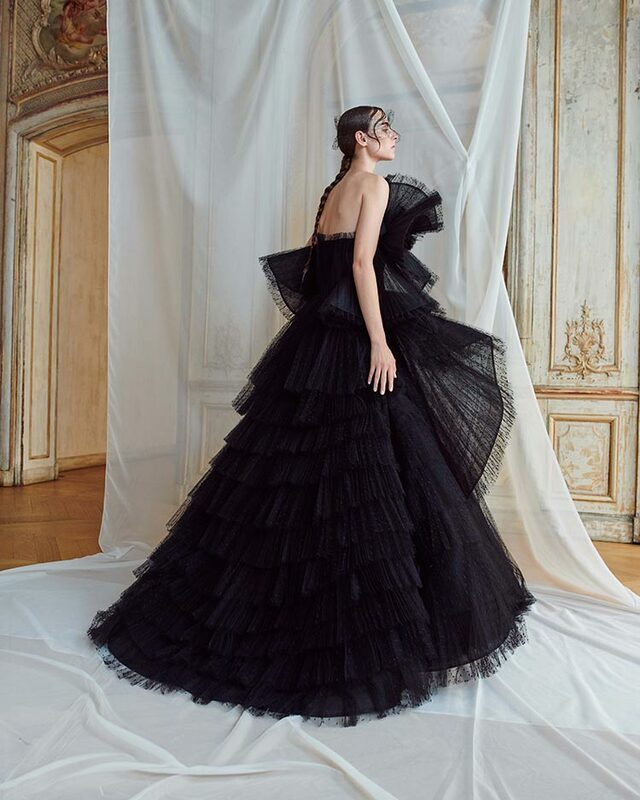 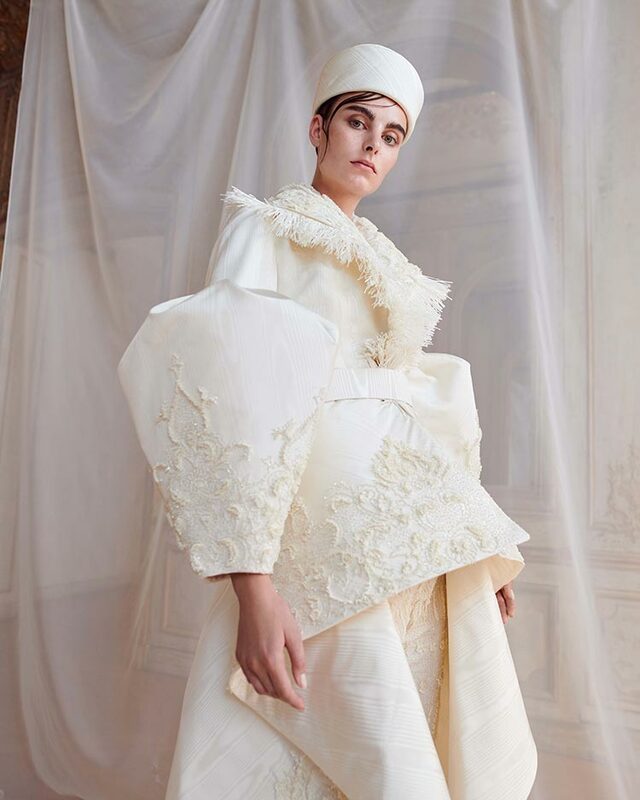 Brimming with dramatic volumes,luxurious details and sophisticated tarboosh hats, the Ashi Studio Fall/Winter 2018/19 couture collection is an impressive testimony to Mohammed Ashi’s unique talent. 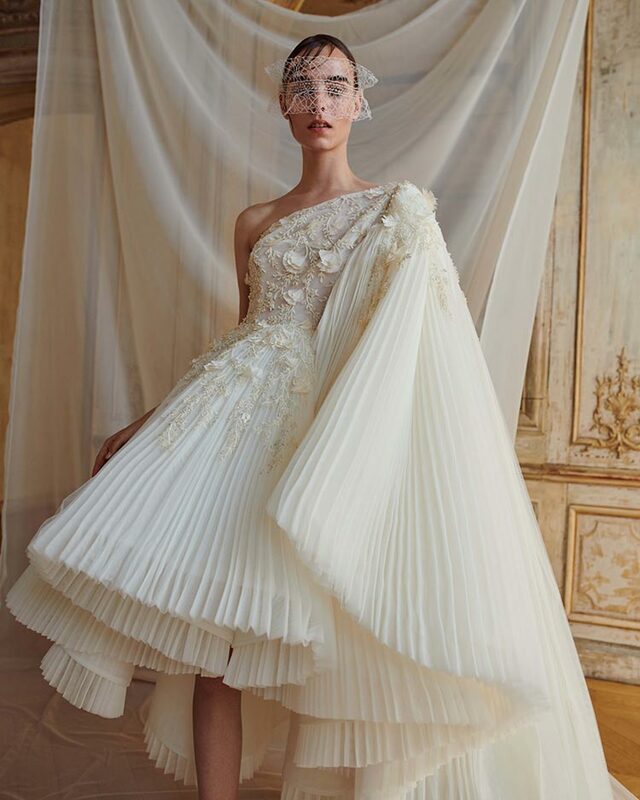 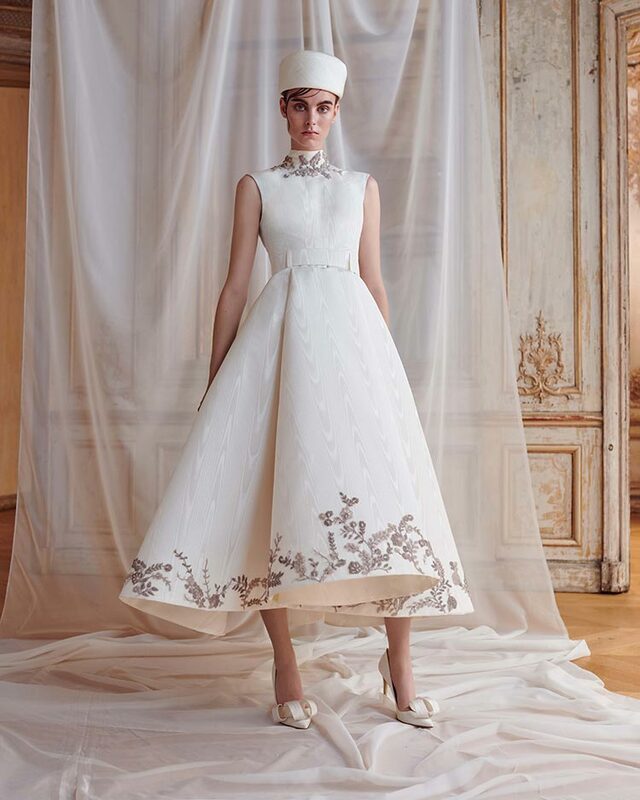 The Lebanese designer was able to combine distinct shapes and textures to achieve looks that exude creativity and reveal an impressive technical ability. 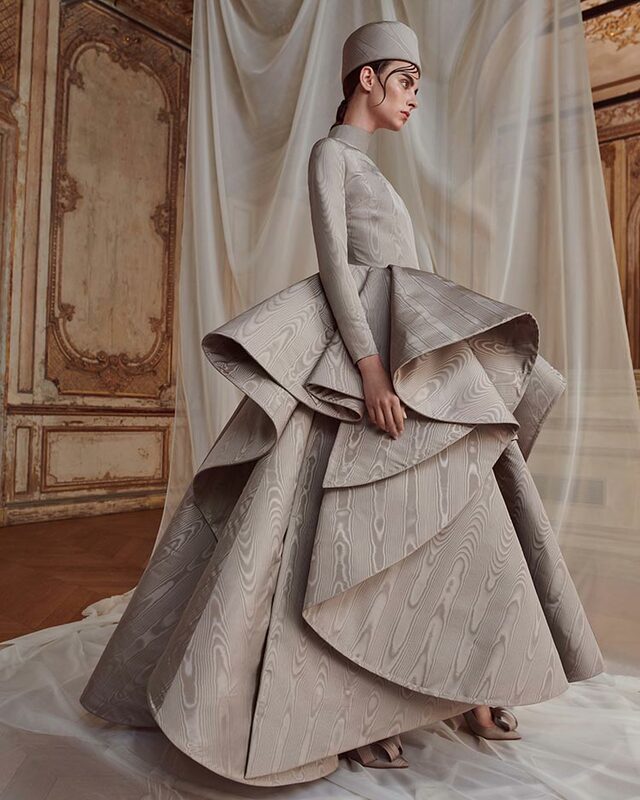 The intricate Persian embroidery contrasts with abundant layers of pleated crepe georgette and the watery appearance of the beautiful moiré fabric. 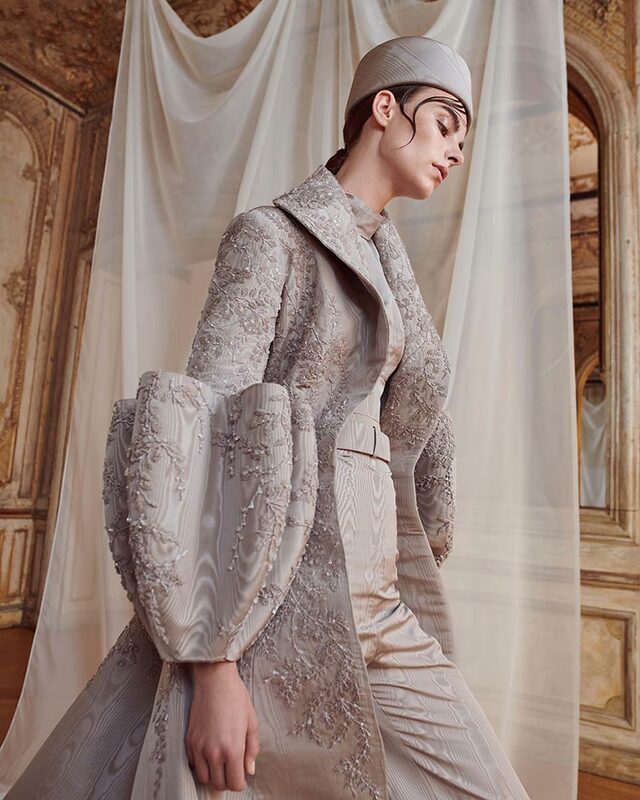 Structured jackets with voluminous shapes are paired with unpolished fringed edges. 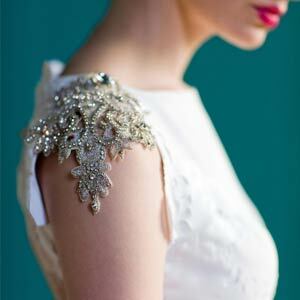 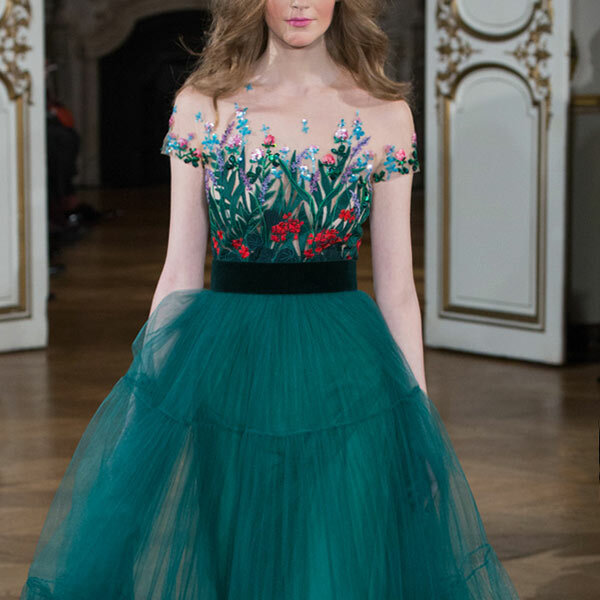 Fabrics are molded to create solid shapes that mimic the delicacy of flowers. 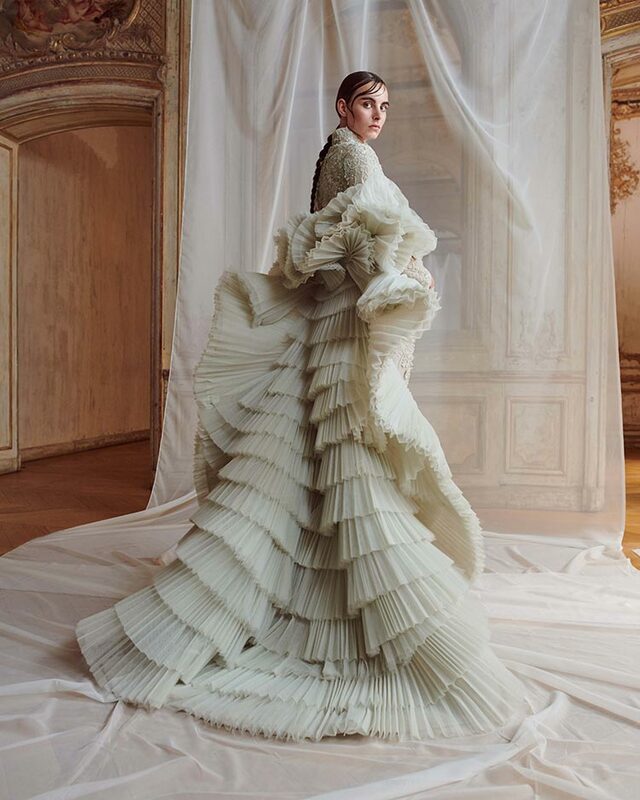 An extraordinary collection.